Golf is a fun filled activity that ensures loads of fun and lungful of fresh air that would make you fit for yet another round of exhilarating stag activities. Golf has an easy pace and is well cut for your group. It is a great bet to clear a hazy head after the late night booze sessions. It can also be combined with other day time activities to form a multiactivity day. Golf and meal in the only 4 star visit activity centre in Scotland, kingsfield leisure. 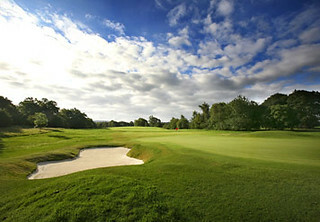 Includes golf guidance & friendly service for dining. Golfing action in 9 or 18 hole.